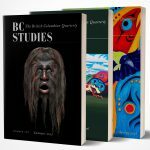 Jean Barman’s ten books and numerous edited volumes, articles, and book chapters on British Columbia history have won a dozen Canadian and American awards. Her prize-winning The West beyond the West: A History of British Columbia is in its third edition. She is professor emeritus at the University of British Columbia, a fellow of the Royal Society of Canada, and recipient of a Queen Elizabeth II Diamond Jubilee Medal. Malcolm G. Bird is an assistant professor of Politics at the University of Winnipeg who is fascinated by the evolution of Canada’s Crown corporations. Deidre Cullon is currently a PhD student in the anthropology department at the University of Victoria. She has worked with First Nations in British Columbia for more than 15 years and lives on Vancouver Island. Shelly Ikebuchi completed her PhD in sociology at the University of British Columbia. Her research interests include the historical intersections of gender, race, and nation in British Columbia. She teaches in the Department of Sociology at Okanagan College in Kelowna, British Columbia, where she is also the current Chair. Bradley P. Tolppanen is a librarian at Booth Library, Eastern Illinois University. His publications focus on library services and bibliography.